start today Monday March 25, 2019. "Ilesa Power Crusade" will hold from Monday March 25th to Friday March 29th, 2019 by 4pm daily at Ilesa Grammar School open field. 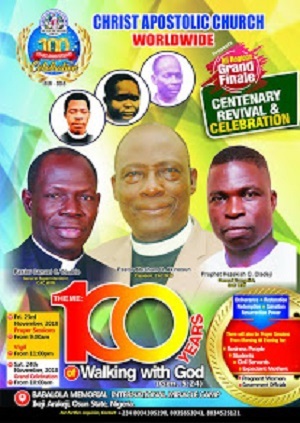 The theme of the crusade is "Power As of Old." 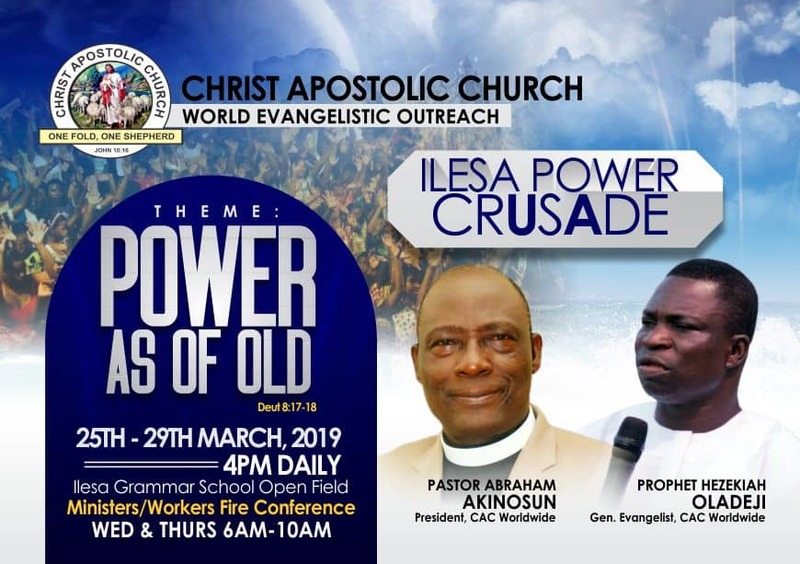 As part of activities for "Ilesa Power Crusade", CAC NEWS gathered that Ministers/Workers Fire Conference will hold on Wednesday 27 and Thursday 28 of March, 2019. 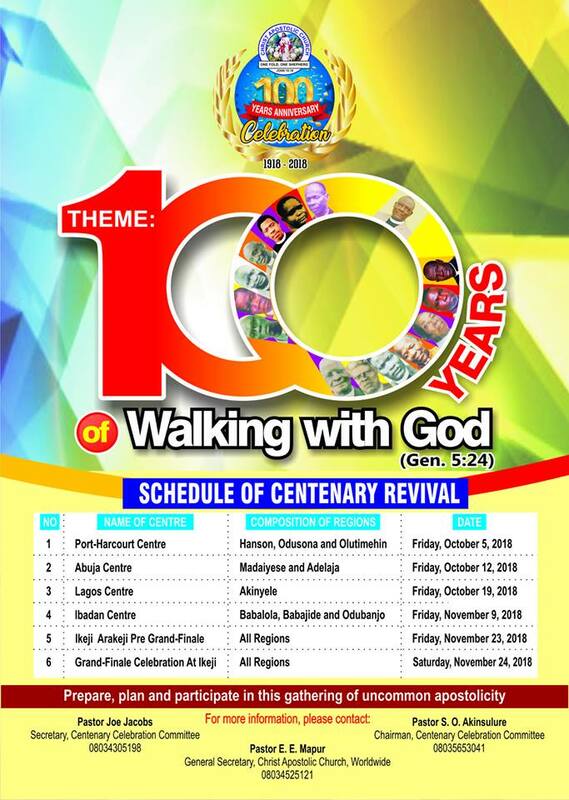 The General Evangelist of CAC Worldwide, Prophet Hezekiah O. Oladeji and other anointed ministers of God are to minister. Oke-Oye in Ilesa Osun state was where God moved beyond human comprehension during the 1930 revival in which God used the first General Evangelist of CAC Worldwide, Apostle Joseph Ayo Babalola to perform signs and wonders that was and still being talk about by people till today.